The Immigrant Centre Pre-Arrival Centre is a pre-arrival service providing organization, operating as part of the Immigrant Centre, which helps permanent residents prepare to move to Manitoba. We provide one-on-one, personalized orientation and information covering many settlement subjects like the Manitoba health system, access to transportation and to a drivers’ license, how to enroll children in school, how to access free English or French lessons, among many others. We communicate directly with clients through email, phone, Skype, Google Hangouts, or Facebook Messenger. When they are close to arriving in Manitoba, we provide them with a settlement plan including the first steps to follow after arrival, and useful links for each aspect of settling down in Manitoba. We are pleased to offer our services in English, French, Tagalog, Spanish, Yoruba, and Swahili. In addition to this communication, we present webinars every week, covering many settlement-related and employment-related topics. Some are presented by pre-arrival facilitators, and some are presented by experts in the community. 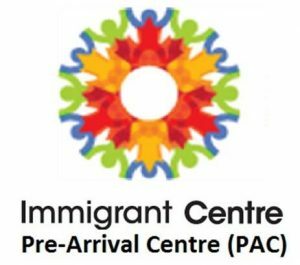 To receive our services, people must be immigrating to Manitoba as permanent residents, and they are required to provide their Unique Client Identifier (UCI) number and their date of birth. Our services are free of charge, since we are one of the pre-arrival service providers that are approved by, and funded by, the federal government through IRCC. Those who are interested in our services can learn more by visiting our website: http://ic-pac.com/ or by sending me an email to vcastellanos@ic-pac.com.